As a company focused on producing opportunities to advance in a financially sustainable future, we understand the importance of providing for current situations and preparing for future success. We know the resources that support prosperity and contribute to the development of a successful economy. We recognize the value of every life in all markets. With offices spread around the globe, we see the lack of ability to establish a prosperous life, and we support a change. 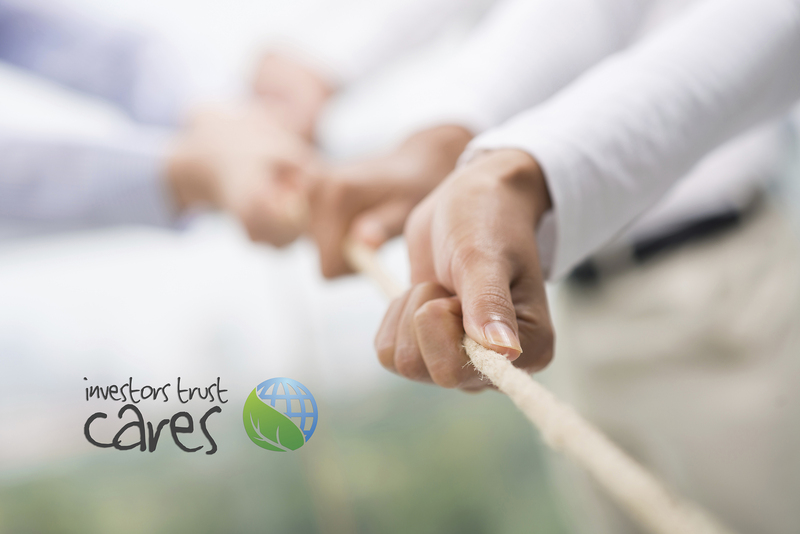 investors trust cares is a corporate campaign designed to enhance the responsible commitments of the company. With this campaign, we hope to strengthen efforts for positive change, encourage sustainable living and enhance opportunities that support a better life. We are investing in a prosperous future for people around the world. Our goal is to support the development of sustainable economies around the world by joining efforts to improve all aspects that contribute to a strong economy. Investors Trust Cares seeks to expand the corporate offering by providing opportunities to those with limited resources, so they, too, can build a sustainable life now and in the future. Consequently, we aim to support efforts of conservation and healthy living around the globe. Our vision is to sustain the people and the planet with the resources and support needed to thrive as a powerful economy. We seek to improve the world markets by enabling communities around the globe with the support to build a sustainable economy. We believe in providing opportunities for a prosperous future through education, community development, business techniques, agriculture, conservation and health care for the overall growth of sustainable life worldwide. We are committed to the Planet. We are taking action to significantly reduce our negative output on the planet and encourage efforts that support conservation and sustainability. We are committed to the People. We seek to support efforts that provide communities around the world with the resources to sustain a healthy life and a prosperous economy. We are committed to Healthy Living. We want to establish an environment of healthy living and balance within the workplace and beyond.